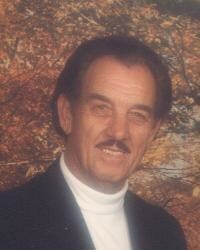 Charles Howard Bowman, 87, formerly of 4005 Sanford Drive, Johnson City died Wednesday, March 22, 2006 in the Life Care Center of Gray. Mr. Bowman was a native and lifelong resident of Washington County and was a son of the late Charles Thomas and Fannie Mae Mohler Bowman. He was a U.S. Army veteran serving in WW II. Mr. Bowman was a retired employee of Mead Corporation with thirty-eight years of service. He was of the Baptist faith. Mr. Bowman is preceded in death by: his parents; his wife, Patty Carter Bowman in January of 2004;three brothers, Lester Bowman, Donnie Bowman, and Hank Bowman; two sisters, Pauline Huggans and Jennie Cain. Survivors include: one son and wife, Dennis H. and Carolyn Ochoa Bowman of Gray; one daughter and husband, Vickie and Harvey Bawgus of Gray; four grandchildren and spouses, Harvey and Jennifer Bawgus, II of Gray, Christopher and Elizabeth Bawgus of Gray, Dennis H . Bawgus, II and fianc?e Ashley Renee Boggs of Gray, and Abigail Bowman Abram and Jason Abram of Chucky; four great grandchildren, Hannah, Amberly, Bethany and Emma Bawgus; one brother, Jasper Bowman of Harrisburg, PA; three sisters, Dorothy Haugh of Baltimore, MD., Melba Jones of Jonesborough, and Jean Moore of West Virginia; several nieces and nephews also survive. The funeral service for Charles Howard Bowman will be conducted at 8 PM , Friday, March 24, 2006 in the Morris-Baker South Chapel. Rev. Richard Bawgus will officiate. The graveside service will be conducted at 11 AM Saturday in the Washington County Memory Gardens. Full Military honors will be accorded at the graveside by the V.F.W. Post # 3382 of Kingsport. Everyone wishing to attend the graveside service will meet at Morris-Baker by 10:30 AM Saturday to go in procession. Active pallbearers will be selected from family and friends. The family will receive friends in the funeral chapel from 6 to 8 PM Friday prior to the service. The family would like to express their deep appreciation to the Staff of the Life Care Center of Gray ,and a Special Caregiver Mitzi for their loving care ,kindness and concern for Mr. Bowman. My Prayers and thoughts are with you. (I grew up on Vernon St. across from Howard and Patty, next door to Joe and Melba. Harry and Edith are my parents.) Harry Smith Jr.